I know what it feels like to focus on “What Matters Most“. Faith, Relationships, Health, Finance, and Community. I have been an executive over a large territory with annual responsibility of $120,000,000 in sales while overseeing 1000 plus employees. It took me years to figure out how to find balance and success while creating a life of meaning, purpose and contribution. READ BELOW FOR 5 STEPS TO HELP YOU CREATE A WORLD-CLASS LIFE! Listen to the Empowering you to a World Class Life podcast! This is my most engaging thought provoking content with tips and strategies to help you succeed in all areas of your life. Every week I release a new episode that will transform your life in Spiritual, Financial, Fitness, Productivity, Life Success. You can subscribe in ITunes, Stitcher, Soundcloud, Spreaker, IHeartRadio, or via RSS. Start listening here. Connect with me now on Facebook, Instagram and Twitter! Check out the courses I currently offer! While most of the content I provide on my website is free, I do offer courses that will help take your life to world class. Our Vision is to bring awareness to all nations on improving their Health and Fitness. Empowering like minded people to transform their bodies and to live a healthy lifestyle. Our ultimate goal is to have you stay young and have the energy and the body to do what you love, regardless of your age. 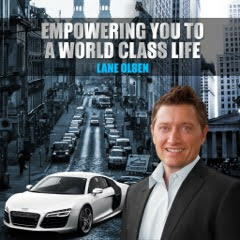 Showing You How to Unlock the Code on Creating a World Class Life. Living a Life with Power, Passion and Purpose. I’m always looking for those committed to take their lives to World Class. I only coach a few people at a time, so if your ready and committed to change your life and see World Class results fill out the application. There is significant investment of time, energy and money required, so please only fill out the application if your committed to change and life changing results.